Consider very carefully any inclination to take your loved one out of their familiar surroundings during the holidays. While it is not always a problem, it can be. Families are tempted to take their loved one home for a holiday party or dinner. Others may want to take them to a holiday show or out to see the holiday lights. Many times this change in their usual environment, away from the familiar surroundings and the people that they are comfortable with can cause great distress for them. Rev. Bob Davis who is in the early stages of Alzheimer’s disease wrote in his book My Journey into Alzheimer’s Disease the following about different surroundings. “Leaving the routine of being around my familiar home, having more people and excitement around than I am accustomed to, varying my ritual for taking care of my grooming and health care, being unable to lie down and nap at my usual times, all brought me to a place of not being able to make the most basic decisions for myself, not even how to relieve my discomfort.” Rev. Davis’ insights are not uncommon. You and your family may want to join in the community's holiday party instead of risking bringing your loved one into an unfamiliar environment. · Family photos in unbreakable frames. The holidays are upon us, it should be a joyous wonderful time of the year for you, but without careful planning and consideration this potential blessing may become a catastrophe. There is much that you can do to avoid the problems. We have put together some suggestions to help you cope with Alzheimer’s and the Holidays. First and most important, TAKE CARE OF YOURSELF! If you don’t take care of yourself at this stressful time both you and your loved one with Alzheimer’s may suffer. If you are tired, frustrated, without patience, become ill, who will be there for your loved one? How do you take care of yourself during this incredibly busy time? · Join a support group. These groups vary so you may want to try out different groups. Some people like groups that are more educational and offer practical suggestions; others may want a group that encourages more emotion, venting and sharing. You can find a group that will support you in the way that best fits your need or personality. · Ask for help. Research shows that families of Alzheimer’s loved one’s are reluctant to ask for or help or use help, often using less help than professionals would recommend and using the help too late in the course of the illness to offer much help. Even though you have placed your loved one in Potomac, you are still carrying a heavy burden. Let people help. Maybe they can pick up something on your shopping list. Maybe they can sit with your loved one while you shop or get your hair done. Have them bring a meal. Ask them to sit with your loved one so that you can miss a visit and tend to some of the issues of the holidays and not feel guilty. · Adjust your expectations. Remember that elaborate attempts to recreate past holiday traditions and have the same festive meaningful time as last year; is almost certainly not realistic. Alzheimer’s Disease is progressive and it is likely that your loved one will remember less this year, will be less able to tolerate holiday excitement and stimulation and will appreciate less. As time passes it becomes increasingly likely that the stimulation of holiday hustle and bustle, decorations, music and other holiday issues will cause anxiousness, withdrawal or even difficult behaviors. People with Alzheimer’s disease need simplicity and routine. · Give yourself permission to do only what you can reasonably manage even though this may be significantly less than in other years. Offer to make a dish for the holiday meal but not to host it. · Remember that you don’t have to have long visits with your loved one. We know that people with Alzheimer’s disease have limited attention spans and difficulty focusing. Often they cannot sustain a long visit. Short and regular visits may be best for both you and your loved one. · Prepare visitors. 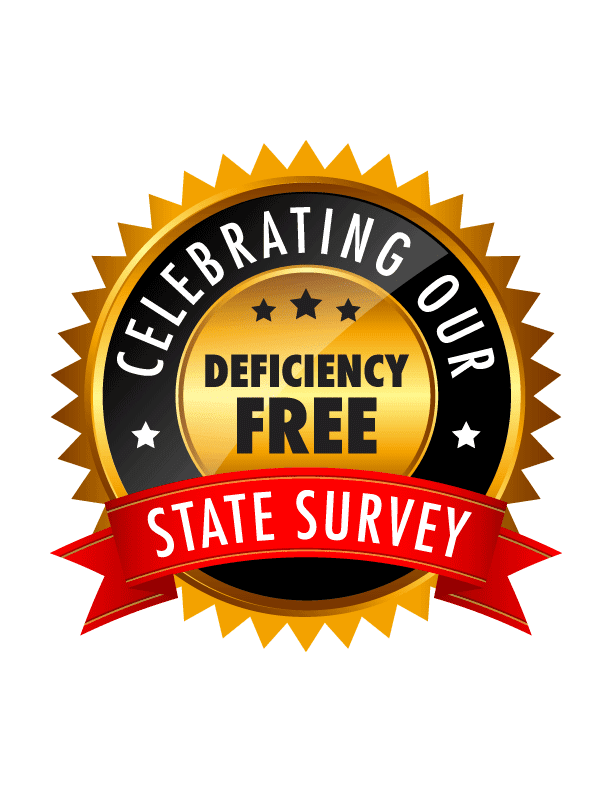 Many of your extended family and friends do not have your experience and insight into this disease and the current condition of your loved one. Tell them how he or she has changed and what to expect when they visit. Some families have even written letters to friends and family to tell them how things have changed in the last year and give suggestions on how to visit successfully. 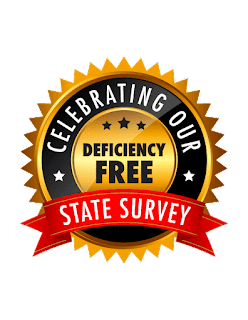 We would like to take the opportunity to personally thank all our incredible staff in achieving a deficiency-free perfect clinical survey conducted by the State of New Hampshire Department of Health and Human Services Bureau of Inspection. This was a concerted effort by all staff, and we want you to know how proud we are of what you have accomplished. You have been great to work with and we are glad to see you receive this recognition from the state as well. We want it to be known that you consistently deliver excellence and rise to the occasion not just for the state survey, but every day. Anyone can look good for a visitor, but it takes commitment to make it happen each and every day. This is the mark of your professionalism. It is an inspiration to see what a finely tuned team can accomplish when you all pull together. 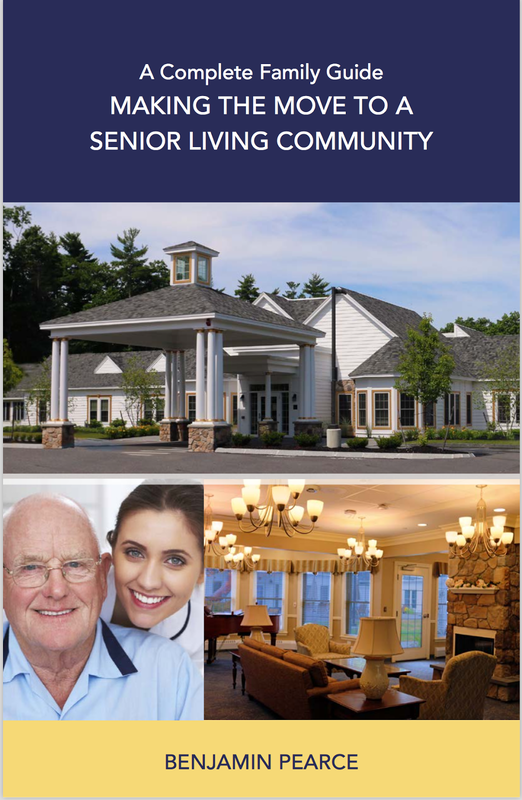 We at EvoLve Senior Living are proud to be associated with a dedicated team such as yours. Your focus and commitment to your work has been constant and unwavering. Your insight and sensitivity towards our residents and guests has now literally set the standard upon which excellence in memory care will be measured in your community. Clearly, each of you have turned challenge into achievement. For that we offer our congratulations, our admiration, and our respect. We realize that sometimes it seems as though we are all just tiny drops of water in a sea of regulatory compliance, but you know, sometimes when a ray of sunshine hits those drops just right, they sparkle…they do sparkle! Thank you for bringing the sparkle to the eyes of EvoLve at Rye. 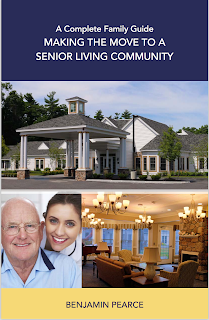 A complete family guide to making an informed decision regarding retirement communities and senior living options. Written by a 36- year veteran operations expert in Senior Housing and author. Learn about the different types of facilities, how they are priced, and how to choose which one is right for your situation. How the isolation of living at home alone can lead to avoidable health problems, tips on dealing with guilt, downsizing possessions and coordinating the move. Explore nancial resources and understand what Medicare and Medicaid cover in senior housing. 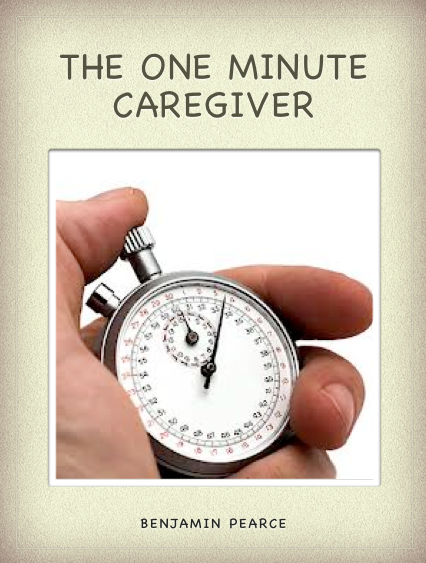 Finally, learn how to deal with caregiver stress and burnout and the family member who says “But I’m not ready yet.” Pragmatic and condensed information without advertising.